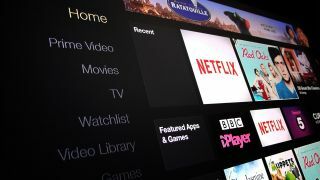 Earlier this month, Apple announced it would start pricing videos in 4K on iTunes at the same price as HD videos to celebrate the launch of the Apple TV 4K, and there was much rejoicing. Apparently, there was a lot of negotiating from competitors, too. Today, Amazon slashed the prices on all of its own 4K videos, making them infinitely more affordable than they were just hours ago. According to Pocket Lint, until recently you could find yourself paying as much as $30 for a 4K video from Amazon US. Now, though, you'll find some of the titles for as low as $5, while newer programs will cost you a little more. But only a little: you probably won't have to spend more than $20. The catch? Amazon still has a pitiful 4K selection compared to iTunes. The silver lining, though, is that some of those 4K videos will likely come free with a Prime membership when Amazon finally releases its expected app for the Apple TV 4K. For that matter, Amazon itself is expected to release a new Fire TV box with 4K and HDR support soon as sales of the old model have temporarily ceased and leaks of newer models are starting to pop up. The price slash is a seemingly small bit of news that could have a massive impact, as few things spur the adoption of new technology quite like making that technology affordable. With more accessible pricing, in other words, the 4K revolution is at last coming to the people. Or you can use the Amazon devices via our Amazon Fire TV deals page.